노래를 통해 진심어린 위로를 전하는 SG워너비 김진호가 오는 11월16일 부산에서 단독 콘서트를 갖는다. 2013년 2월 첫 솔로앨범 ‘오늘’과 7월 미니앨범 ’한강애’를 연이어 발표하며 데뷔 9년만에 홀로서기에 나선 김진호는 지난 3월 정규앨범 발매기념 서울콘서트에서 게스트 없이 2시간을 열정적으로 소화하며 음악과 관객 그리고 연출의 삼박자가 최고의 조화를 이룬 공연이라는 찬사를 받은 바 있다. 김진호는 최근 KBS 2TV ‘불후의 명곡,전설을 노래하다 - 추모연가7 특집편’에 출연해 SG워너비의 전 멤버 故 채동하를 추모하는 무대로 ‘살다가’를 불러 깊은 울림과 감동으로 시청자들을 울렸다. 이번 공연은 그 동안 발표한 그의 솔로앨범의 수록곡들과 SG워너비의 히트곡들을 선보이며, SG워너비와는 또 다른 김진호의 진솔함과 그만의 깊은 음악적 색깔을 느낄 수 있는 감동의 시간을 선사할 것이다. 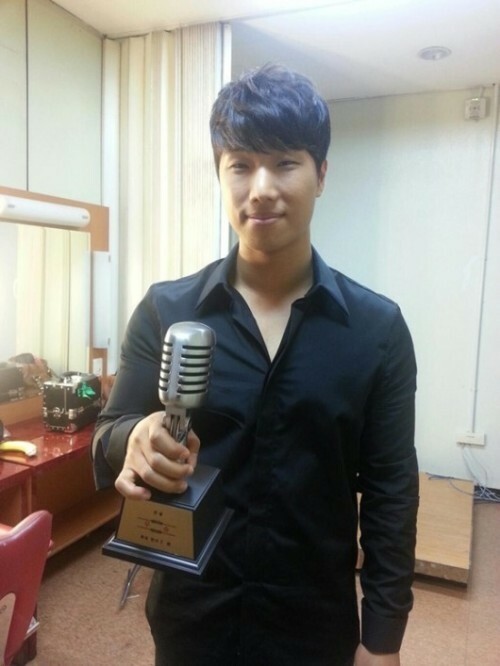 SG Wannabe Kin JIn Ho who sincerely consoles through songs will have a solo concert in Busan on November 16. He released first solo album ’Today’ in February and a mini album ’Han River Love’ in July, 2013 in a row. Kim Jin Ho who stands alone 9 years after his debut performed impassionedly without a guest for 2 hours on a Seoul concert for commemoration of sale of his album in last March. The concert was praised that music, audience and directing were in perfect harmony. Kim Jin Ho appeared on KBS 2 TV ’Immortal Songs, singing the legend - song of the memory of a deceased person 7, special episode’. He sang ’As I live’ as a tribute to the deceased member of SG Wannabe, Chae Dong Ha and made viewers cry with deep sound and impression. He will sing songs of his solo album and hit songs of SG Wannabe and give you touching time that you could feel his sincerity and only his deep musicianship.